Konami’s football is back! And it will be launched right alongside the FIFA 18 game near the end of this year. 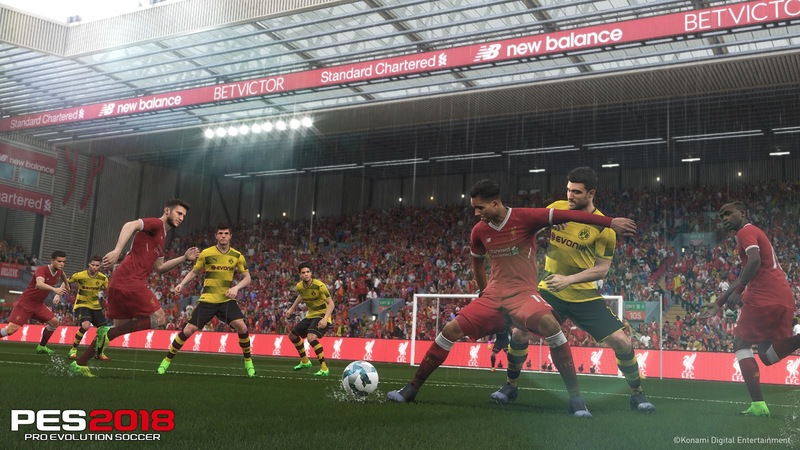 They are featuring the biggest advances that we have seen over a decade, which means players can expect improved stadiums, assortment of teams, and kits; without actually having to boot up and leave their room. Here we have compiled all that you want to know about the upcoming PES 2018 game, including the gameplay, release date, kits, teams, and much more. PES 2018 is the all new installment in the ongoing series of football title games. The new installment will build on all that we saw last year, with a few additions and key improvements of its own. Players will have to choice to choose from hundreds of football teams from FC Barcelona, to Juventus FC. This year, Konami has really pull together everything, so they can offer players a fully packed football experience. The all new PES 2018 will be launched on September 14th, 2017 for PS4, PS3, PC, and Xbox 360. They have not made it clear yet if the PES 2018 will pack additional support features for Xbox Scorpio or PS4 Pro. The PES 2017 offered a high quality game play, and this year they have built on that. 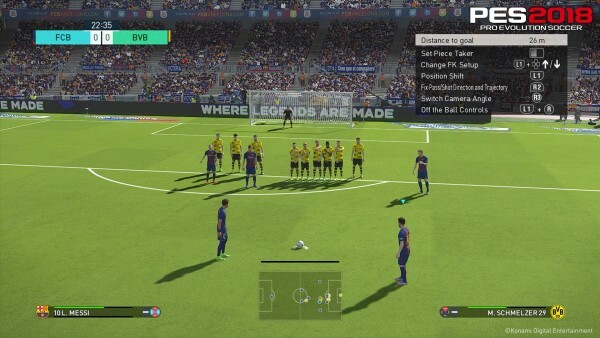 While going along and fixing other features such as better penalty and free-kick system. This will ensure better accuracy, and players will be pleased to see the addition. In addition, the Real Touch+ definitely adds a new dimension, and adds great ball control along with contextual shielding. Which means that players will be reacting more realistically when under attack suddenly. All of these small and big changes have been made to ensure that players will be able to experience a more realistic football game this year. When talking about the new modes, Online Co-op, and Random Selection Match; there are two new methods the new PES 2018 is offering. These features will cover both matches, the ones you play on your own, or with your friends. In addition, they have finally seen a great level of improvement in Master League, with locker room scenes, pre-match interviews, and new introductions. 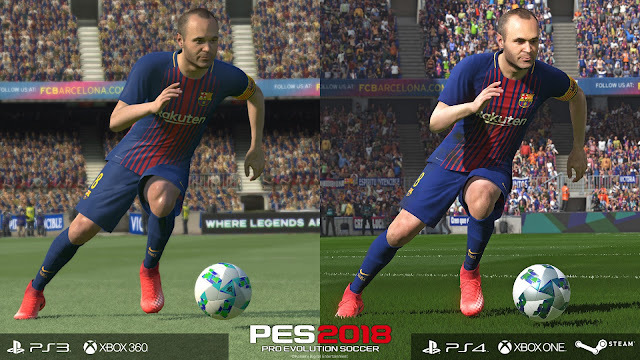 Just from the trailers and the small snippets that have been shared by Konami, we can see that authenticity and quality of football is high on their list this year. So we can assume the PES 2018 will offer a much better experience than we have ever experienced before. As far as user interference is concerned, it has been improved greatly. And they have even added an extra flair to the visuals of the game. Now, the game will be using more than 20000 pieces of data to recreate pitch turfs, player, stadiums, and player tunnels. According to Konami, they have motion captured a number of players using a new animation system, that allows them to offer great player animations. The PES 2018 will be using Konami’s Fox Engine, which they used to the power the last Metal Gear game. This year they have targeted FC Barcelona to keep in the spotlight again. As all the trailers that have been released point in Spain's direction. 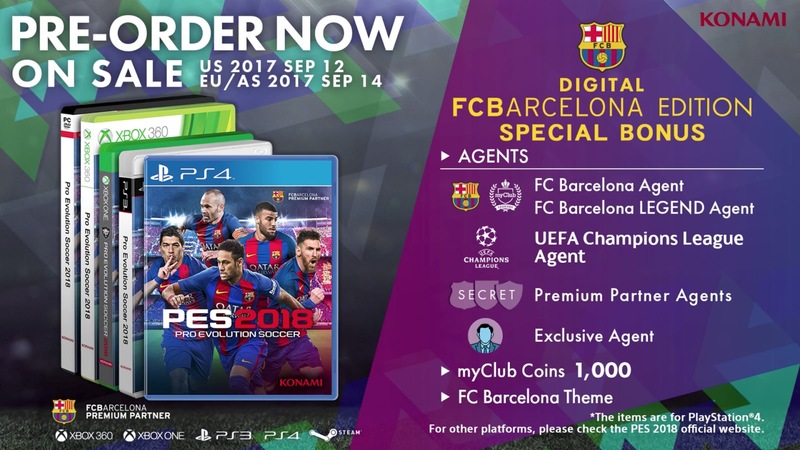 Apart from the official reveal, there were two unique features seen on the Xbox Website for PES 18, both showing digital extras. 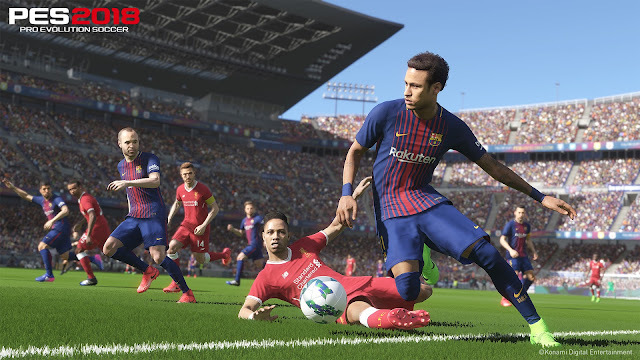 However, no final thoughts can be shared on the PES 18, until the game hits the market, and we can play it to offer you a complete insight on what is hot this year. 0 Komen untuk "All You Need To Know About PES 2018"